Ryan Johnson, chief executive of BlackBridge, said he discussed a deal Planet Labs after carrying out a series of studies for a proposed next-generation RapidEye system. “We talked to many vendors, and there wasn’t anything really special about anything we had seen,” he said. While BlackBridge operates five small satellites built by Canada’s MDA Corp., each weighing 150 kilograms, Planet Labs has been developing a constellation of imaging satellites based on the cubesat form factor, weighing only a few kilograms each. Planet Labs has adopted an approach it calls “agile aerospace” where it rapidly develops new generations of these spacecraft in-house, incorporating new technologies at a faster rate than conventional satellite developers. BlackBridge will continue to operate separately from Planet Labs in the near term, although Marshall said he anticipates the two companies will more closely integrate their operations over time. The imagery sets from their separate spacecraft are similar in resolution and spectral bands, he said, except that the RapidEye satellites also collect data in the “red edge” band that is useful for agricultural applications. Planet Labs will also continue the development of its cubesat-class spacecraft, despite some launch setbacks. Eight Planet Labs spacecraft were on the Dragon spacecraft destroyed in the June 28 Falcon 9 launch failure. That came after 26 of the company’s satellites, on a Cygnus spacecraft, were destroyed in an Antares launch failure. “I feel like we’ve been a little bit unlucky,” Marshall said. He added, though, that the company had 14 other satellites, delivered to the International Space Station on other cargo missions, that were being deployed there starting July 13. An additional 14 satellites will go to the station on a Japanese H-2 Transfer Vehicle cargo mission to launch in August. While most of Planet Labs’ satellites have been launched from the ISS, the company eventually plans to deploy a fleet of spacecraft in more traditional sun-synchronous orbits. Marshall said the company has satellites manifested to fly to that orbit on five upcoming launches, most of which he said will take place in early 2016. The acquisition comes as a number of other ventures announce plans for their own constellations of Earth imaging satellites. On June 16, Seattle-based BlackSky Global announced plans for a 60-satellite system, with the first launches planned for later this year. 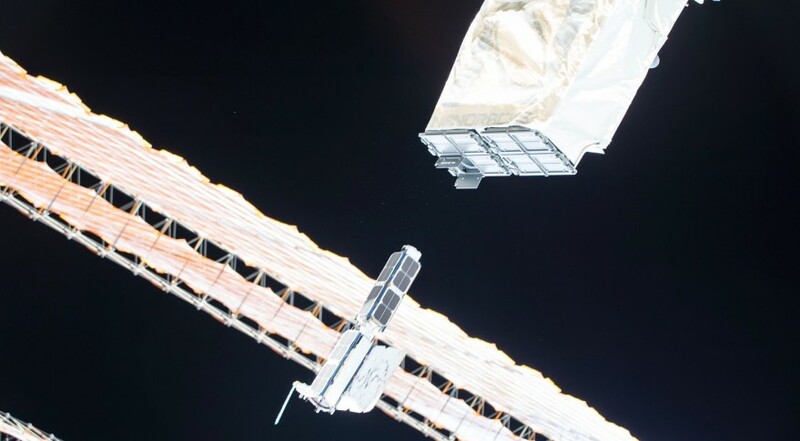 Three days later, Vancouver-based UrtheCast, which operates cameras on the ISS, said it will develop a constellation of 16 satellites to provide optical and radar imagery by the end of the decade.